Easy access to your golden rolodex everywhere you work. Access detailed dossiers including historical email and Twitter conversations, as well as social insights about the people you’re meeting and the companies that matter to you. Discover social profiles, areas of influence, job titles, company descriptions and work experience directly from email, calendar, contacts; social apps such as LinkedIn, Facebook and Twitter; and anywhere the iOS Share Menu is supported. Click to access dossiers, including social insights and history of engagement from your calendar, email, contacts, social apps and more. Using the iOS Share Menu within mobile apps or browser, tap the Nimble logo to discover people’s social profiles, areas of influence, job title, company description and work experience. Business card scanner creates new records from stacks of business cards. Email, Calendar, and Twitter conversation sync chronicles your history of engagement, without requiring time-consuming, manual data entry. Records are synced with the Nimble CRM across devices and platforms. Send templated emails and add open-and-click tracking. Save time using email templates with custom merge tags and pre-set attachments to contacts in your personal database. Enable message tracking to monitor engagement. Nurtured properly, relationships leads to measurable business outcomes you can track using Nimble Mobile’s pipeline manager. Manage sales across multiple pipelines to help you stay on top of your various opportunities across any public relations, marketing, business development or fundraising opportunity you have. Log notes using mobile voice commands, assign follow-up tasks, and schedule reminders to follow through with your opportunities. Multiple pipelines gives teams the advantage of tracking all these separate business opportunities in Nimble as their single system of record, without returning to your desk or resorting to using multiple applications, spreadsheets, or worse, sticky notes. Nimble Mobile CRM 3.0 is available to for all Nimble accounts at no additional cost. Add it on the iOS App Store or Google Play. Subscribers to the Nimble Contact plan can upgrade to Nimble Business to access deal pipelines. Intersted in learning more, sign up for your free trail now here. Why Social Signals Matter in Business today? From a business development perspective, most experts would agree that curating relevant information about potential and existing customers is a key aspect of doing business. However, integrating social signals and finding insights from them will be increasingly important in forging relationships with modern consumers. In this article, I wanted to dig into the benefits of social signals in business development today. Social CRM Software (Customer Relationship Management) is a strategy which utilizes social media services, techniques and technology to enable organizations to engage with their customers. Today, being successful in business takes a true service mentality. I believe that most people buy from people they like. And, they like people who know them. Social CRM uses social media services to understand and decipher the digital signals of customers in order to help with engagement. You can’t know somebody without doing your homework and background research to get to know who that person is. The more you know the better chances you will have to serve them. Monitoring what your contacts are doing on social channels is every bit as important as reading their emails in Selling 2.0. In my opinion, if you are not using Social Intelligence to grow your business or territory, you are not playing on a level field with your counterparts. Social Intelligence, if used appropriately, will enable users to see events in people’s lives and to use that data to make stronger and faster connections. All the data signifies the importance of using social intelligence in your day-to-day professional sales and marketing life. But, it’s hard for most to do this, right? That’s why Social CRM tools are exciting to me. Most organizations need an intelligent relationship platform that will look at the digital foot print of a person, be able to read their social signals, identify ones that matter, pull them into complete records and relevantly use the information. Then, as Mrs. Black proclaims, “Pick up the Damn Phone to call them”. There is clearly a new buyer journey which has transpired in the business community today which some call Buyer 2.0. This is not a news flash for most. However, whatever you call it, in order to be relevant in the business world today you need to be a social evangelist too. Today, customers are doing their own homework. They are having conversations among themselves on what they’re going to buy on Twitter and then they’re deciding early on who they want to spend time with during the “Sales Process”. Then, when they’re ready, they reach out to a vendor to find a solution. Unfortunately, most small to midsize companies’ idea of dealing with that is to hire a “Young Guns” and have them embark on the “Old Way” of doing business. Or worse yet, to have the marketing departments bombard them with how great their price, product, or service is. Smart “Young Guns” won’t put up with it, and Sage “Old Guns” will flame-out of existence. Today, the new social salesperson must be altruistic and authentically desire to assist in the buyers journey. He or she needs to participate in the buyer journey by being a trusted advisor who is paying the relationship forward by educating them. So that when they do make a buying decision or are considering buying something, they think about that person who was there along their journey. When somebody is ready to make a buying decision, if you are not part of that conversation during the moments where they’re considering it, you’re done. However, faster does not always mean better. Social Intelligence should be used to allow us to be prepared. Today, it’s important to know what your customers are liking, commenting, retweeting or otherwise engaging in the digital universe. It may not always be necessary or pertinent to utilize, but it’s mandatory in today’s market. And, Social CRM tools assist in this very well. In my business, I review a lot of different technology which often gets me excited about the possibilities. I admit with no apologies that I am fan of technology. But, Social CRM, Marketing Automation, and Sales intelligence are all pertinent technology which are critical in helping your organization help others in succeeding with your product, service, or mission. The momentum keeps on going at the Social CRM Social Intelligence headquarters. Nimble CRM took all the feedback they received from their valued customers & partners then combined that with the latest designs from their new Nimble mobile app and completely rewrote the browser extension. Now that’s responsive design! As a result of the news release, we wanted to let our community of small business owners know about the news about this update to the Nimble Smart Contacts App. The updated Smart Contacts Widget for the Chrome Browser, now lets you add, view, update and message contacts to nurture relationships in every App in your browser with the click of a button. This save tremendous amount of time. If you recall, you had to go into Nimble to perform some of these aspects, now you can simply stay put and take action right in the browser, anywhere. Nimble reviews information from dozens of sources around the web, including Twitter, LinkedIn, Facebook, Google+, AngelList, Instagram, Foursquare and more to collect public information into an invaluable resource that helps business professionals be better prepared for sales calls, meetings and interviews. With Nimble, business people are always ready to connect in smarter, relevant and authentic ways with their contacts, prospects and customers powered by intelligent insights. The new Nimble Chrome app is the latest release of Nimble Smart Contacts Insights that has been announced over the past few months. Nimble has extended its pioneering Relationship Manager to work everywhere their customers work. Nimble now delivers critical contact context and intelligent relationship insights in Chrome, Gmail, Google Apps, Outlook, Safari, Firefox, Hootsuite, Native Mobile apps for Apple iOS, Android and soon Salesforce. Smart Social Relationship Management: Nimble combines your contacts from Google Contacts, Outlook and Apple Address Book. It then maps and discovers the most important contact information on the web (Twitter, AngelList, LinkedIn, Facebook, Google+, FourSquare, Instagram and more), connects your email, calendar and social interactions and then keeps it up to date and in sync on a daily basis. Easily Import/Update Social Contacts: from LinkedIn, Twitter, Facebook, Google+, Foursquare, Angel list or any browser-based app with our new one-click Nimble Browser button and smart sidebar app. Nimble Automagically Matches Contacts Social Profiles: Nimble removes the detective work required to find contact details by auto-magically mapping your contacts social profiles and consolidating the key background information you need into a digital dossier, giving you all the relevant information you’ll need before reaching out. Get Intelligent Relationship Insights: Nimble searches the web and social networks to deliver insights to provide context about your contacts: mutual interests, shared passions, and important moments making it easier to be prepared for the people you’re meeting with. Simply Organize Contacts with Tags, Tasks and Notes: Effortlessly organize contacts with tags, log details about the people you meet with notes and remember to follow-up with tasks. Enjoy a Completely Redesigned User Experience: We took the design concepts we learned from building our mobile app and completely re-wrote our widget to be more intuitive, smarter, and faster. 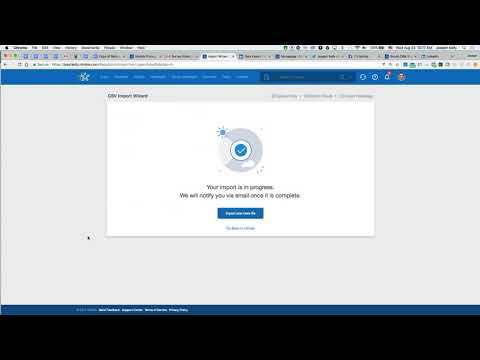 Would you like to take a quick view of Nimble Smart Contacts App? Back in 1997, I was first introduced to the concept of Customer Relationship Management. During the early days, I provided many seminars to small business owners in order to explain what the concept or strategy of CRM was and how to take advantage of it with new technologies on the market. Today, there is a new way to do business. And, our old ways must die. Small business owners must embrace the pendulum shift to a new Zeitgeist. It’s time to get Nimble! CRM is fun and exciting once again. Want more hands on experience? Sign up for your social intelligence CRM manager review now. Since 1997, I have been working with Customer Relationship Management software. In fact, I remember a time before the term Sales Force Automation, Customer Relationship Management, and even Salesforce.com! 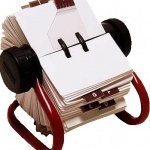 If you remember the Rolodex you likely recall the early days as well! We all needed a better way and thanks to many of the pioneers like Pat Sullivan, the founder of SwiftPage Act!, and Jon Ferrara, the founder of Goldmine, we all have a better way to handle our customers today! In this article, I wanted to take a stroll down memory lane and revisit an oldie but goodie, SwiftPage ACT! Yes, I recall with great clarity the day when Act! 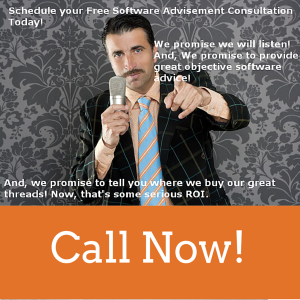 Software and Goldmine Software ruled the roost in the small business software space. Knowing this, I wanted to take some time to share some thoughts on one of the oldest contact managers in the market, SwiftPage Act! which has grown into a mature sales force automation tool for small business users today. Indeed, Act! is still considered one of the best-selling contact & customer Manager, trusted by individuals, small businesses, and sales teams to get organized and take the guesswork out of marketing to drive sales results. 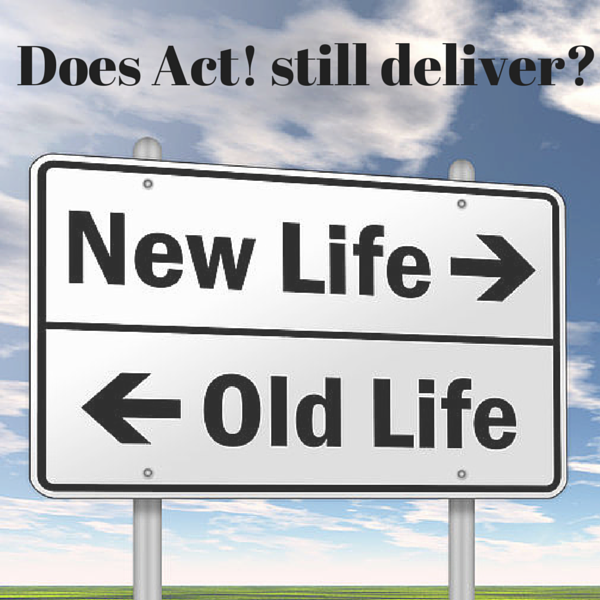 If you are not familiar with Act!, Act! by SwiftPage helps organize all your contacts, leads, prospects and customer details in one place. It helps market your products and services more effectively, driving sales results while creating customers for life. While it is not the right fit for everyone, I believe that SwiftPage Act! still excels in combining many features which are difficult to find in even some upperclassmen in this space. Certainly, there is always room for improvement! For example, it needs to incorporate more social selling signals and feeds like Nimble. I have written a review on Nimble and Nimble clearly shines in the area of social selling prowess. However, outside social selling area, it lacks the ability to handle account centric selling needs for the B to B selling environment. It does well with dealing with the “contact” centric nature of the design with the linking of fields but still isn’t the best “account” centric selling tool. These two items may or may not be applicable to you so you will need to decide. In this day of “Cloud Software“, I believe that Act! has still earned the right to be at the table if you are a small business embarking on a journey to find your first sales and marketing software tool. To be sure, SwiftPage Act! still delivers value in the age of the Cloud. If you would like to learn more, I am a contributing author on TrustRadius. And, you may find a full review by clicking My review of Swiftpage ACT! on TrustRadius here. I will be reviewing more soon!